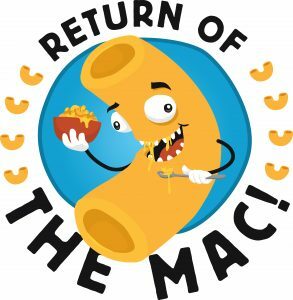 Chef’s Night Off and MOKB present: Return of The Mac, Indy’s first festival dedicated to the golden goodness we all love, mac & cheese on Sunday, January 8, 2017 at the Circle City Industrial Complex located at 1125 E. Brookside Avenue in Indianapolis. Attendees will sample cheesy creations from more than 20 of Indy’s favorite restaurants while chefs put their own spin on everyone’s favorite comfort food. Tickets go on sale Monday, December 5 at 10:00 a.m. for only $20 general admission and $35 VIP Early Entry. 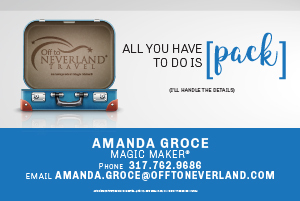 Kids 6 and under are free when accompanied by an adult with ticket. Each ticket grants access to unlimited sampling for 2 hours, a full bar for 21+ guests, and participation Yelp’s Crowd Favorite vote. This is an all ages event. A limited amount of tickets are available for this event. Tickets go on sale Monday December 5 at 10 via Ticketfly.